Mahesh Ramanujam, president and CEO of USGBC and GBCI, and Jamie Statter, vice president of strategic relationships for USGBC, will present USGBC and GBCI's global vision and the future of the green building industry. The brief presentation will be followed by a Q&A session on priorities, trends, and metrics at the local, state, and national levels. Mahesh Ramanujam is proving that building a more sustainable world is no longer a dream, but a global evolution. As president and CEO of the U.S. Green Building Council (USGBC) and Green Business Certification, Inc. (GBCI), he leads a community of 13 million people that’s growing every day. A graduate from India’s Annamalai University with a degree in Computer Engineering, Ramanujam couples a strong background in technology and innovation with his goal of building healthier communities and democratizing sustainable living. 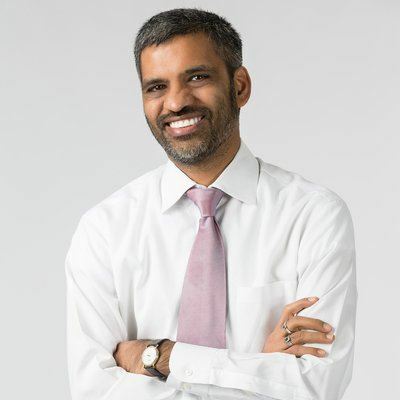 Ramanujam serves on numerous boards and advisory committees, including Bank of America’s National Community Advisory Council and the Board of Directors of GRESB, a private organization wholly owned by GBCI and that is the leading sustainability standard for global real estate portfolios and infrastructure assets. Before becoming President and CEO of USGBC, Ramanujam served as both the organization’s COO and CIO. Prior to joining GBCI in 2009, he was COO of Emergys Corp., and for more than a decade, he successfully led various business transformation programs at IBM and Lenovo. 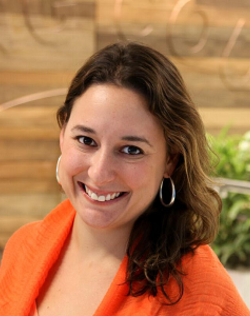 Jamie Statter leads strategic relationships for a range of programs and market sectors at USGBC and GBCI. In this capacity, Jamie works with business and government leaders to ensure that LEED, PEER, SITES, Parksmart, and the TRUE Zero Waste certification programs are utilized as tools to meet climate, sustainability, and resiliency goals. Prior to joining USGBC, she was the Head of the Built Environment at the Clinton Global Initiative (CGI), a non-partisan organization that convened global leaders to devise and implement innovative solutions to the world's most pressing problems. Jamie joined CGI in 2010 to develop strategy highlighting and integrating market-based approaches for climate change and infrastructure development throughout the organization's various platforms, and grew the Built Environment work into one of CGI’s most successful efforts. While serving in this role, she advised multinational corporations, philanthropists, NGOs, global mayors, and organized labor to increase investments in green buildings, infrastructure, resiliency and cities and expanded the community of CGI members who address these issues.